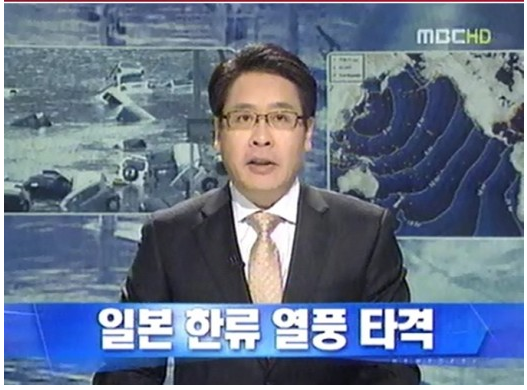 MBC's 특집 뉴스 데스크 (Special Report News Desk) is being criticized by viewers for its "Blow to Korean wave in Japan" on the day of the earthquake in Japan (11 March). The report said that "there are concerns that this large earthquake in Japan is going to result in a blow to Korean wave in Japan. Music concerts and TV appearances (by Korean stars) are going to have to be rearranged, resulting in a reduction of Korean wave." Korean viewers who watched the report then went to MBC's bulletin board and criticized the report, saying that "the earthquake happened less than a day ago and you're worried about your bottom line?" and "you should have just reported on the safety of the Korean stars currently in Japan and left it at that."